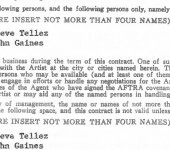 Rue was a member of three unions: SAG, the Screen Actors Guild; AFTRA, the American Federation of Television and Radio Artists; and Equity, which is the Actors’ Equity Association. 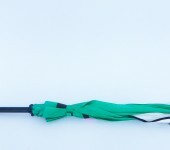 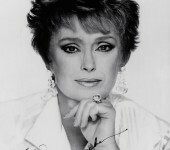 Even though she paid A LOT of dues, she was certainly happy with membership in all three when those rather large pension checks started rolling in on her “retirement” – of course, Rue never really retired since she worked up until she got sick. 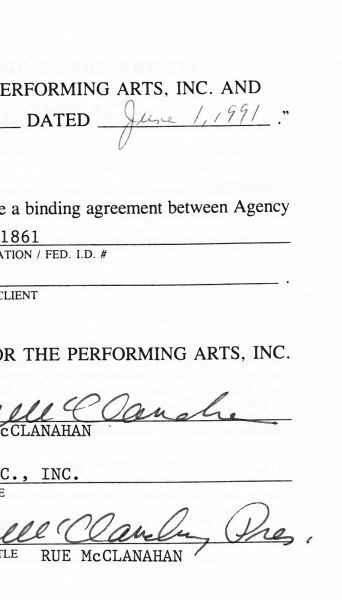 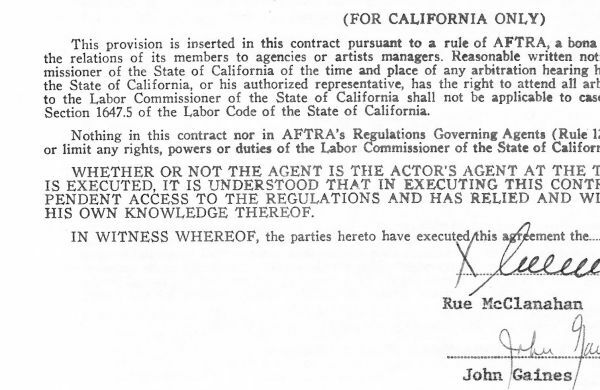 Last year SAG and AFTRA joined forces and created one union, but back in 1991 Rue had to execute agency contracts pursuant to the requirements of each individual union. 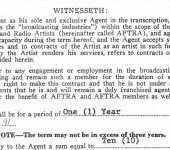 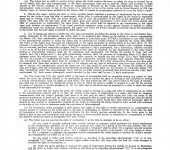 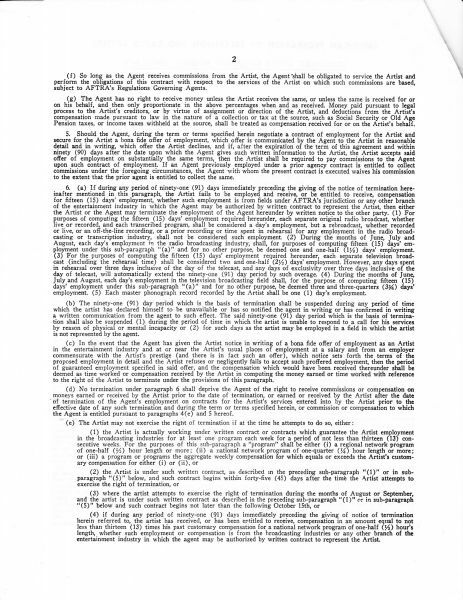 This 8.5″ x 11″ 3-page agreement, with the first 2-pages being two-sided, is Rue’s AFTRA agency agreement for the year 1991. 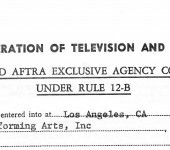 Of course, this was when she was still working on “The Golden Girls,” filming movies, making commercials, endorsing products, etc… Rue was a “hot property” in 1991 in Hollywood. 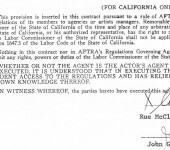 As we’ve previously pointed out, since Rue was a corporation, she always had to execute her agreements first as herself and then on a “Corporate Rider” as both herself and as the president of her corporation. 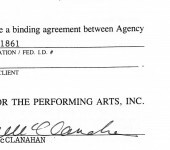 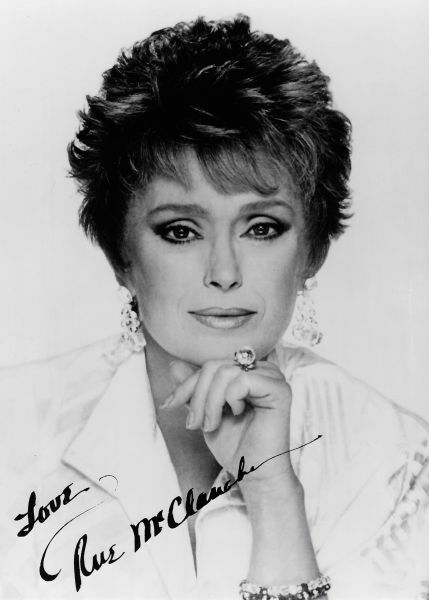 Thus, her contracts have THREE ORIGINAL SIGNATURES. 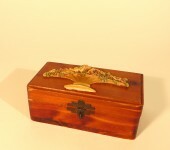 Comes with a headshot from the period and a Certificate of Authenticity from Estate of Rue.